My dear friend and talented designer Ivette Newport, gave me the idea to cluster the frames into a collage. She guided me to some examples from Pottery Barn, and I ended up finding an incredible resource for tips and how-to materials. Check it out. Although we already had a few photos on these walls, adding new frames meant taking it all down and starting all over again. Barren walls are not pretty! 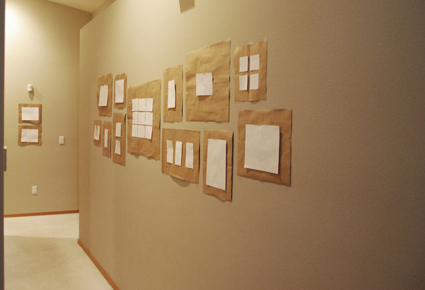 Rather than hanging and rehanging the frames on the wall, I started by tracing all of the frames on butcher paper. This would allow me to play with the frame shapes and make my collage without having to mess with the frames themselves. 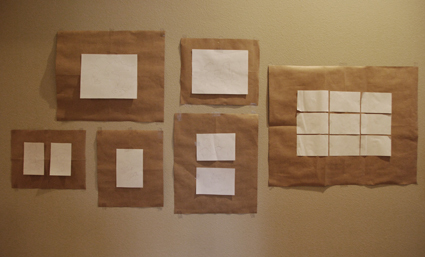 Here is a spread of what my butcher paper frames looked like. I also made cut-outs to represent the actual size of the photo inside the frame. 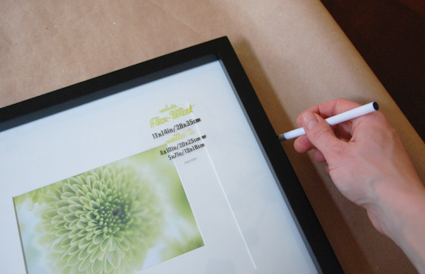 Fold the paper frames in half length and width wise to mark the centers. This will come in really handy when you go to hang the frames later. 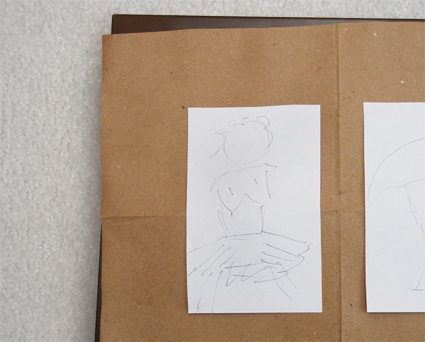 Sketch the basic images of each photo. 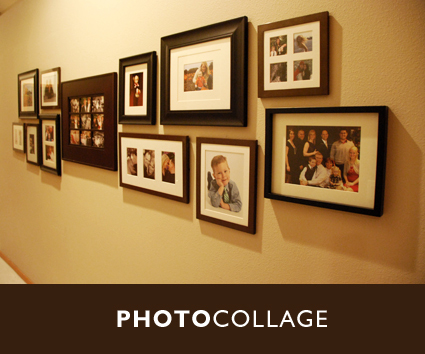 This will help remind you of the orientation and subject matter of the photos as you arrange them on the wall. 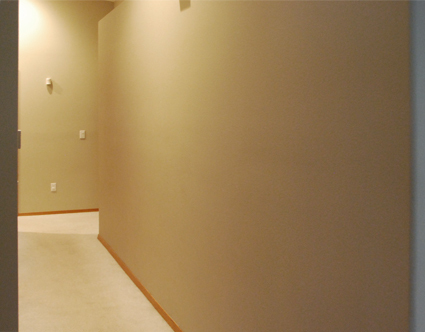 This is the hallway with the design on the wall. Spacing between frames should be kept as consistent as possible. Arrange the frames in a stepping stone pattern, as if you were building a wall out of rocks. I like to have small groupings within the collage that are either vertically or horizontally aligned. It gives a little order within the chaos of the collage that makes the presentation look deliberate and well organized. 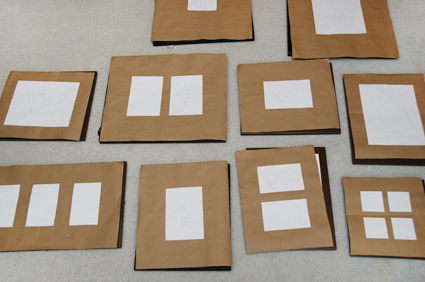 The overall presentation of the collage should be balanced – not to heavy on one end or the other. I tried to set a center point and have a balance of large and small frames on each side. This is finished result. 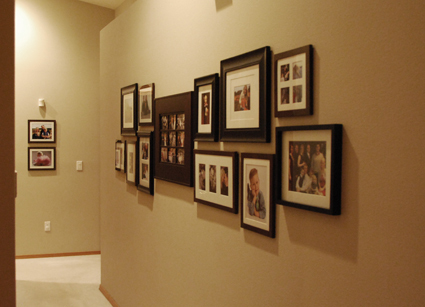 Having done most of the tough work with the paper frames, hanging the actual frames on the wall took less than an hour. I couldn’t be happier with the results. I love it..I was trying to figure out how to do this and your instructions have made it much easier for me now…thanks soo much…the collage looks awesome!